There were a Total of 19 Residential Home Sales in Rothwell Heights in all of 2018 and the Average Price was $880,223, that is down 13.7% over 2017. What is my house worth in Rothwell Heights? How much will a Residential House cost in Rothwell Heights? The range of house sales prices in Rothwell Heights for 2018 was between $535,000 and $1,400,000. These were all freehold houses, there were no condos sold in Rothwell Heights. 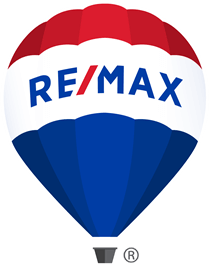 Where are the highest and lowest prices in Rothwell Heights? The Two lowest priced sales were on Oriole Drive and Donovan Court, these were a detached 2 storey and a Bungalows with 3 and 4 bedrooms that sold for under $555,000. The Three highest sales were on Burrows Road, Cedar Road and Rothwell Drive, these all 2-storey homes with 4 or 5 bedrooms and they all sold for between $1,280,000 and $1,400,000. It took between 3 and 711 days for homes to sell in Rothwell Heights in 2018 with the average time being 111 days. Sellers here got 96.03% of their listed price, on average.